Draft: 2011, Colorado Rockies, 1st rd. Tyler John Anderson, son of John and Mary … has two sisters and one brother … resides in Las Vegas, Nev., in the offseason … His father, John Anderson, played baseball collegiately and professionally … Enjoys playing golf … his favorite food is Mexican … Played for Team USA's Collegiate National Team, helping USA win the silver medal at the FISU World Championships … Attended Valley High School in Las Vegas, Nev. ... Studied political science at the University of Oregon, where he was drafted in the first round of the 2011 First-Year Player Draft ... Was teammates at Oregon with Seattle Mariners infielder Ryon Healy. 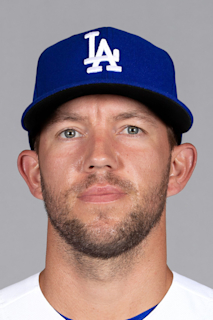 Set professional career highs in starts (32), innings pitched (176.0) and strikeouts (164) … Made his first career postseason start in Game 2 of the NLDS at Milwaukee, a 4-0 Rockies loss … pitched six innings and allowed one run on four hits with two walks and five strikeouts … Went 6-3 with a 3.72 ERA (113.2 IP, 47 ER) in 20 starts in the first half, 1-6 with a 6.06 ERA (62.1 IP, 42 ER) in 12 starts after the All-Star break … Recorded consecutive outings of eight scoreless innings June 29 at Los Angeles-NL and July 4 vs. San Francisco … was the third pitcher in franchise history to record consecutive outings of at least eight scoreless innings (also: Ubaldo Jimenez, May 26-31, 2010 and Jason Marquis, June 30-July 6, 2009) … was the first Rockies pitcher to accomplish that feat while allowing four or fewer hits in each start, and the first MLB pitcher to do so since Jake Arrieta, Aug. 30-Sept. 5, 2015 … Pitched 7.2 shutout innings in his final start of the regular season on Sept. 30 … it was his third start of 7.2 or more shutout innings in the season, the most such starts since Ubaldo Jiménez in 2010. Made his first career Opening Day roster and went 6-6 with a 4.81 ERA (86.0 IP, 46 ER) across 17 appearances, 15 starts...Made 15 starts and also worked the first two relief appearances of his professional career … was 5-6 with a 5.11 ERA (81.0 IP, 46 ER) as a starter, 1-0 with a 0.00 ERA (5.0 IP, 0 ER) in his two relief appearances...Had two different stints on the 10-day disabled list and one on the 60-day DL … placed on the 10-day disabled list on June 4 (retroactive to June 1) with left knee inflammation … reinstated on June 22 but made just two appearances (one start) before being placed on the disabled list again on June 26 … underwent arthroscopic surgery on his left knee on July 3 and was transferred to the 60-day DL on July 26...After being reinstated from the 60-day disabled list on Sept. 10, was 3-1 with a 1.19 ERA (22.2 IP, 3 ER), three walks and 18 strikeouts in four appearances, three starts...Pitched seven scoreless innings in his last start of the season, Sept. 26 vs. Miami, the longest scoreless outing of his career...Career-high tying 10 strikeouts May 6 vs. Arizona (also: Aug. 24, 2016 at Milwaukee), the first double-digit strikeout game of his career at Coors Field...Pitched one inning of relief in the National League Wild Card Game at Arizona, allowing two runs on two hits, including one home run. Made his Major League debut on July 12 and went 5-6 with a 3.54 ERA, the second-lowest ERA by a rookie in franchise history (minimum 100 IP) … the Rockies were 8-11 in his 19 starts...Made his Major League debut June 12 vs. San Diego … pitched 6.1 innings, allowing one run on six hits with no walks and six strikeouts, earning the no decision in a 2-1 Rockies win...Earned his first career win July 9 vs. Philadelphia … pitched six innings and allowed two runs on a career-high nine hits with no walks and six strikeouts...After his June 11 recall, ranked among MLB rookie pitchers in FIP (3.64-1st), innings pitched (114.1-1st), ERA (3.54-2nd), starts (19-T3rd) and strikeouts (99-4th)...Went 2-for-2 July 9 with a home run and two RBI … recorded a single in the third inning for his first Major League hit … first Major League home run in his next at-bat, the only home run by a Rockies pitcher in 2016...Became the second Rockies pitcher to record his first Major League win, hit and home run in the same game since Jason Jennings accomplished the feat in his Major League debut on August 23, 2001 at New York-NL … became one of two active pitchers to accomplish the feat (Kenta Maeda, April 6, 2016 at San Diego)...Was 3-1 with a 3.86 ERA (30.1 IP, 13 ER) in July...Made six starts in the Minors, including one rehab outing for High-A Modesto … combined at Triple-A Albuquerque (May 26-June 11), Double-A Hartford (May 8-26) and Modesto (May 8), was 2-2 with a 2.64 ERA (30.2 IP, 8 ER)...Began the season on the 15-day disabled list after straining his oblique in Spring Training … reinstated and optioned to Hartford on May 8 after the rehab start that day at Modesto … transferred to Triple-A Albuquerque on May 26 … recalled on June 11 and would spend the rest of the season with the Rockies. Missed the entire 2015 season due to a left elbow injury. Spent the entire season, the third of his professional career, as a member of the Double-A Tulsa starting rotation...Was named the Texas League Pitcher of the Year and a member of the Post-Season All-Star team...led the Texas League in ERA (1.98) while going 7-4 with 106 strikeouts, 40 walks and a .216 opponents batting average in 23 starts...Was also named to the Rockies' MiLB.com Organizational All-Star team, the third-straight season he has been a member of that squad...Went 4-1 with a 1.01 ERA (62.2 IP, 7 ER) in 11 starts after the All-Star break...was 3-3 with a 3.07 ERA (55.2 IP, 19 ER) prior to the break...Owned a four-start scoreless streak July 12-31 that covered 23.0 innings...during the streak he allowed just 14 hits, 8 walks and struck out 25 batters...Has gone 23-10 with a 2.38 ERA (328.1 IP, 87 ER) in his Minor League career entering 2015. Split the season between Short-Season Tri-City and Single-A Modesto...began the season with Modesto and went 0-1 with a 3.80 ERA (42.2 IP, 18 ER) in eight starts over the course of the first half of the season...made three starts with the Dust Devils wile on a rehab assignment from July 22-Aug. 1 and went 1-1 with a 0.60 ERA (15.0 IP, 1 ER) before returning to Modesto for the remainder of the season...was a Spring Training non-roster invite. Led the South Atlantic League with a 2.47 ERA over a span of 20 starts (120.1 IP, 33 ER) finishing the season 12-3 with 81 strikeouts compared to 28 walks...was named to the SAL Post-Season All-Star-Team...posted a 2.01 ERA after the All-Star break in 12 starts (7-2, 71.2 IP, 16 ER) and was named a MiLB.com Organization All-Star...MLB.com rated him as the Rockies' second-best pitching prospect and sixth-best overall...ranked seventh-best prospect among Rockies by Baseball America. Did not play after being drafted. April 7, 2019 Colorado Rockies placed LHP Tyler Anderson on the 10-day injured list. Left knee inflammation. September 10, 2017 Colorado Rockies activated LHP Tyler Anderson from the 60-day disabled list. August 27, 2017 Colorado Rockies sent LHP Tyler Anderson on a rehab assignment to Albuquerque Isotopes. July 26, 2017 Colorado Rockies transferred LHP Tyler Anderson from the 10-day disabled list to the 60-day disabled list. Left knee inflammation. June 26, 2017 Colorado Rockies placed LHP Tyler Anderson on the 10-day disabled list. Left knee inflammation. June 22, 2017 Colorado Rockies activated LHP Tyler Anderson from the 10-day disabled list. June 18, 2017 Colorado Rockies sent LHP Tyler Anderson on a rehab assignment to Albuquerque Isotopes. June 4, 2017 Colorado Rockies placed LHP Tyler Anderson on the 10-day disabled list retroactive to June 1, 2017. Left knee inflammation. June 11, 2016 Colorado Rockies recalled LHP Tyler Anderson from Albuquerque Isotopes. May 26, 2016 LHP Tyler Anderson assigned to Albuquerque Isotopes from Hartford Yard Goats. May 9, 2016 Colorado Rockies optioned LHP Tyler Anderson to Hartford Yard Goats. May 8, 2016 Colorado Rockies sent LHP Tyler Anderson on a rehab assignment to Modesto Nuts. April 3, 2016 Tyler Anderson roster status changed by Colorado Rockies. November 6, 2015 Colorado Rockies activated LHP Tyler Anderson from the 60-day disabled list. July 10, 2015 Colorado Rockies placed LHP Tyler Anderson on the 60-day disabled list. March 16, 2015 Colorado Rockies optioned LHP Tyler Anderson to Albuquerque Isotopes. November 20, 2014 Colorado Rockies selected the contract of Tyler Anderson from New Britain Rock Cats. September 12, 2014 Tulsa Drillers placed LHP Tyler Anderson on the 7-day disabled list. August 29, 2014 Tulsa Drillers activated LHP Tyler Anderson from the 7-day disabled list. August 23, 2014 Tulsa Drillers placed LHP Tyler Anderson on the 7-day disabled list. June 11, 2014 Tulsa Drillers activated LHP Tyler Anderson from the 7-day disabled list. May 28, 2014 Tulsa Drillers placed LHP Tyler Anderson on the 7-day disabled list. March 29, 2014 LHP Tyler Anderson assigned to Tulsa Drillers from Modesto Nuts. August 6, 2013 Modesto Nuts activated LHP Tyler Anderson from the 7-day disabled list. July 21, 2013 Modesto Nuts sent LHP Tyler Anderson on a rehab assignment to Tri-City Dust Devils. May 23, 2013 Modesto Nuts placed LHP Tyler Anderson on the 7-day disabled list. May 17, 2013 Modesto Nuts activated LHP Tyler Anderson from the 7-day disabled list. May 9, 2013 Modesto Nuts placed LHP Tyler Anderson on the 7-day disabled list. March 30, 2013 LHP Tyler Anderson assigned to Modesto Nuts from Asheville Tourists. February 5, 2013 Colorado Rockies invited non-roster LHP Tyler Anderson to spring training. May 11, 2012 Tyler Anderson assigned to Asheville Tourists. August 15, 2011 Colorado Rockies signed LHP Tyler Anderson.